The commissioner of the NBA, Adam Silver has expressed his concern with the way teams rest prime starters in big games. Silver sent a memo to the NBA’s board of governors in which he described the rest issue as extremely significant. He also encouraged the owners of the teams to become more involved with the teams and the decision making as a whole. Silver initiated a request for the matter to be discussed with the owners at next month’s league meetings. The matter was brought to the fore after back-to-back nationally televised games were significantly diluted due to teams resting star players. In the memo, Silver stated that decisions in the NBA can directly affect the fans and impact the reputation and perception of the game. The memo goes on to say that with everything at stake, it is unacceptable for governors not to be involved in the decisions of their organisations. Over the past few months, the rest issue has cropped up, becoming a key talking point when teams like Cleveland and Golden State elect to rest their star players in nationally televised games. 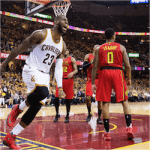 It is a common complaint that fans have paid a premium price to see the NBA stars play, but when they arrive at the game, they find that these players have been given the night off. 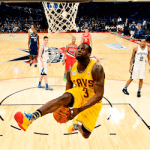 It is also becoming an issue with the networks who pay upwards of $US24 billion to the NBA for television contracts. Silver was quick to point out that under NBA league rules, the teams are required to provide notice to the media, the league office and their opponents when a decision has been made to rest a player. He reiterated that failure to abide by the rules would result in significant penalties. Just a few weeks ago, the Warriors chose to rest a number of their star players including Klay Thompson, Stephen Curry, Andre Iguodala and Draymond Green in a game that was nationally televised. Warriors coach Steve Kerr said that the decision to rest the players was a direct result of the gruelling schedule that included eight straight games in eight different cities. Kerr defended his actions saying that it was his call and it was the right thing to do. In a game this last weekend, Cleveland chose to rest Kyrie Irving, LeBron James and Kevin Love against the Los Angeles Clippers. The issue of rest should resolve itself somewhat as the league has decided to start the regular season earlier next year. This should reduce the number of back-to-back games the teams will face. 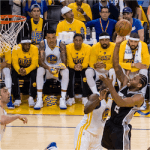 Warriors Sweep NBA Western Conference Finals In the same imperious style that made them Western Conference Champions and took them to the NBA Finals two years running, the Golden State …. 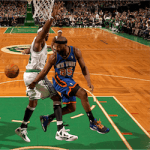 Cavaliers / Celtics in NBA Eastern Conference Finals Australian basketball fans watching the 2016-17 NBA season in the US and looking for a plucky underdog to deliver lucrative upset wins …. Big Weekend in NBA Conference News This weekend, Australia’s basketball fans will be focused on the last matches of the 2016-17 NBA Conference Semi-Finals. 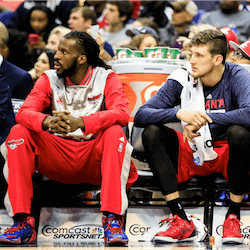 The Boston Celtics and Washington Wizards …. 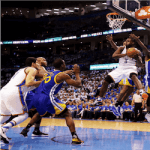 NBA Semi-final Predictions With the first round of playoffs already done and dusted, we are one step closer to finding out who will go through to the all-important semi-final stage …. NBA Conference Semi-Finals Begin May 1 Wednesday saw the final spots in the 2016-17 NBA Play-Offs decided, with two weeks left until the Conference Semi-Finals begin on May 1. From ….